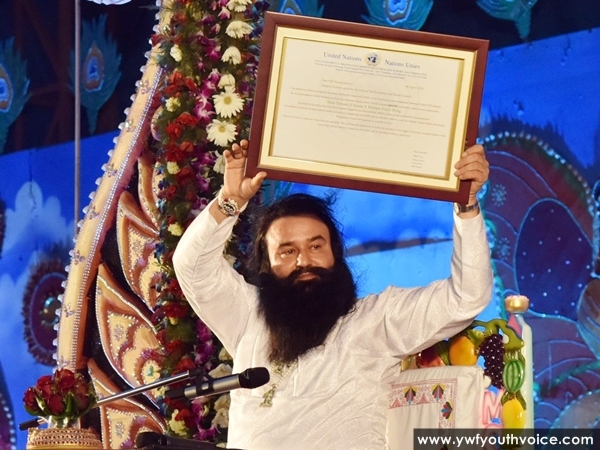 UN DESA has listed Shah Satnam Ji Green S Welfare Force Wing in United Nations Economic and Social Council (ECOSOC) with Special Consultative Status. On 29th April 2016 during the celebrations of DSS Foundation Day, DSS volunteers were extremely happy after knowing that UN DESA has listed Shah Satnam Ji Green S Welfare Force Wing in United Nations Economic and Social Council (ECOSOC) with Special Consultative Status. Now Shah Satnam Ji Green S Welfare Force Wing will be able to participate in welfare activities with UNO in 193 countries. What is UN DESA? ECOSOC? DESA is UN NGO branch stands for Department of Economic and Social Affairs, it support the work of the Committee on NGOs of the United Nations Economic and Social Council (ECOSOC), the intergovernmental body responsible for granting consultative status with ECOSOC to non-governmental organizations (NGOs). Their Aims: Support to NGOs, Intergovernmental Support, Conference registration and Technical assistance. 1. Brief description of Green S Welfare Wing's humanitarian works.